Paperback, 2 vols., 6.5 x 10 in. / 568 pgs / 20 color / 100 bw. Edited by Elena Filipovic, Marieke van Hal, Solveig Øvstebo. 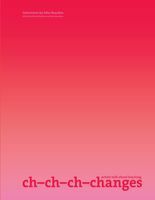 Texts by Carlos Basualdo, Daniel Buren, John Clark, Okwui Enwezor, Bruce Ferguson, Milena Hoegsberg, Ranjit Hoskote, Caroline A. Jones, Jakouba Konaté, Gerardo Mosquera, Rafal Niemojewski, et al. Born as a vehicle for national propaganda, the art biennial today has become an outsize phenomenon mobilizing not only artists, curators and gallerists but sponsors, celebrities and politicians, commanding huge press attention and deciding the careers of artists worldwide. For a city to host a biennial today has colossal ramifications. 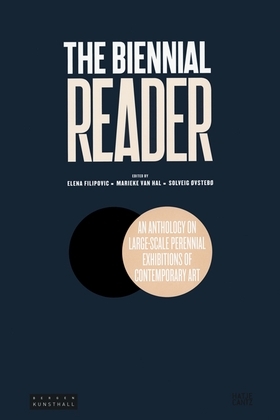 This anthology on the art biennial gathers previously published seminal texts from around the world alongside commissioned contributions from the leading scholars, curators, critics and thinkers today--among them Carlos Basualdo, Daniel Buren, John Clark, Okwui Enwezor, Bruce Ferguson, Milena Hoegsberg, Ranjit Hoskote, Caroline A. Jones, Jakouba Konaté, Gerardo Mosquera and Rafal Niemojewski. 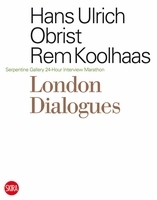 Tracing the genealogy of the standard exhibition format--including biennials but also other recurrent exhibitions such as triennials and quadrennials--and examining some of the most famous examples of the twentieth and twenty-first century, from the Venice Biennale to the Johannesburg Biennial and the Havana Bienal to Documenta and the Asian biennials, this reader explores the artistic, theoretical, political and other ambitions of such large-scale exhibition projects. It is certain to be a vital resource for scholars, students, curators, artists and critics alike. Introduction by Michele Robecchi, Amanda Coulson. FORMAT: Pbk, 2 vols., 6.5 x 10 in. / 568 pgs / 20 color / 100 b&w.